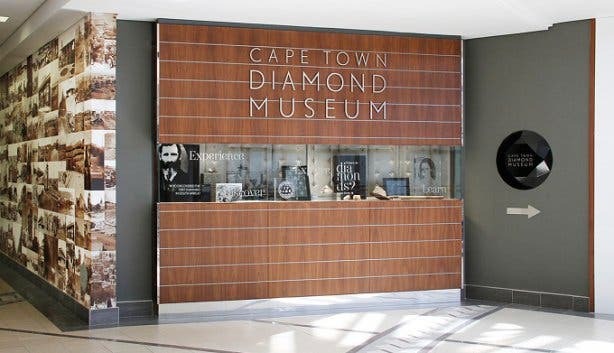 Did you know that you can find 350 West African Gold artefacts and over one and a half million specimens of scientific importance in Cape Town? 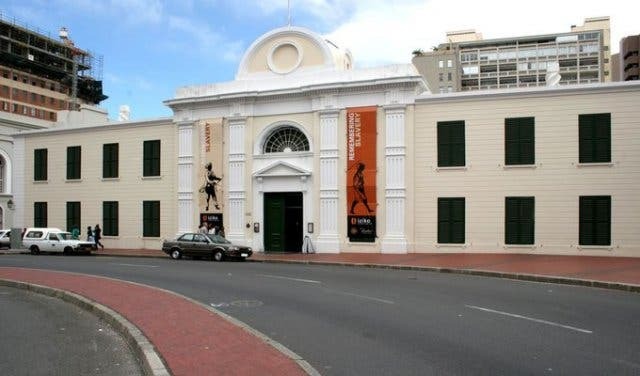 Find out more about Cape Town’s rich heritage and beyond, by visiting some of its treasured museums. The La Motte Museum at La Motte Wine Estate not only shares the history of the estate’s French Huguenot heritage and Rupert ownership, but also the estate’s pristine Cape Dutch architecture. 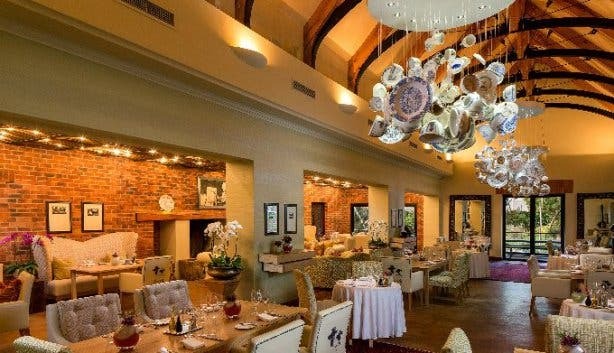 La Motte Museum is the permanent host to the heritage collection of famed South African landscape artist, Jacob Hendrik Pierneef and has rotating exhibitions such as the "Ink on Paper" exhibit ,which will be showcased until June 2019. 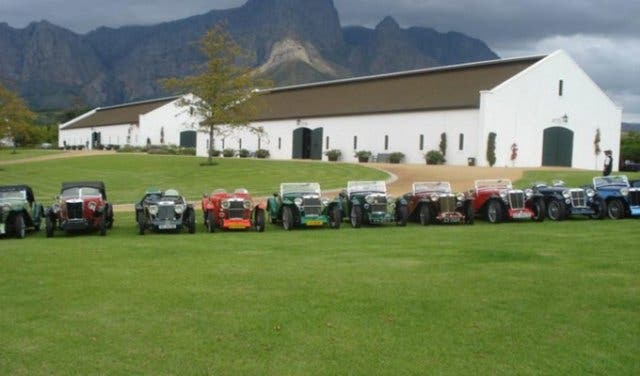 Read more: La Motte Wine Estate. 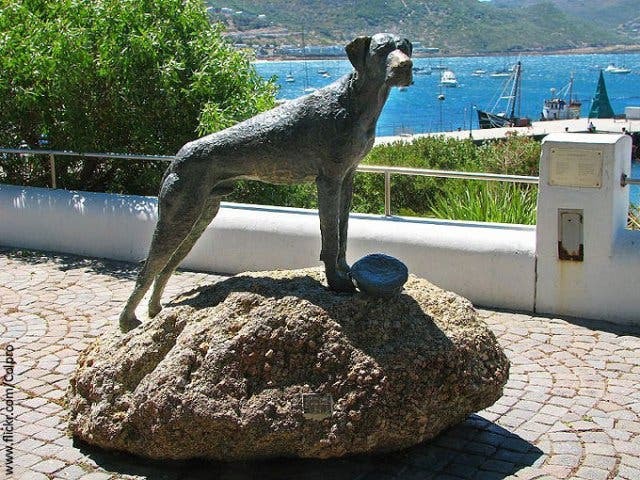 Head to Yzerfontein and enjoy a museum experience like no other. 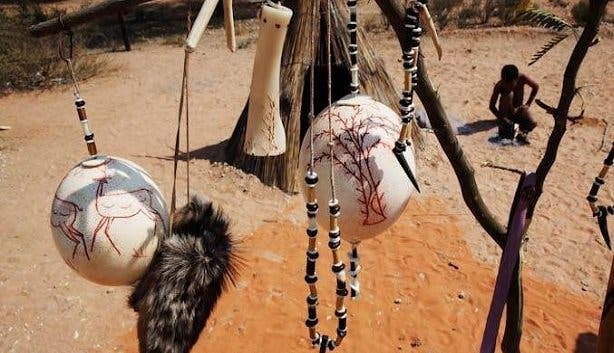 The first heritage museum dedicated to the San people is informative, eye-opening and aims to re-introduce people to a particular way of living. You'll get a holistic and all-inclusive experience at the !Khwa ttu Dream Museum. Founded in 1825, the museum moved to its present location in the historic Company Gardens in 1897. The museum houses over one million specimens of scientific importance including tools that are around 120,000 years old. 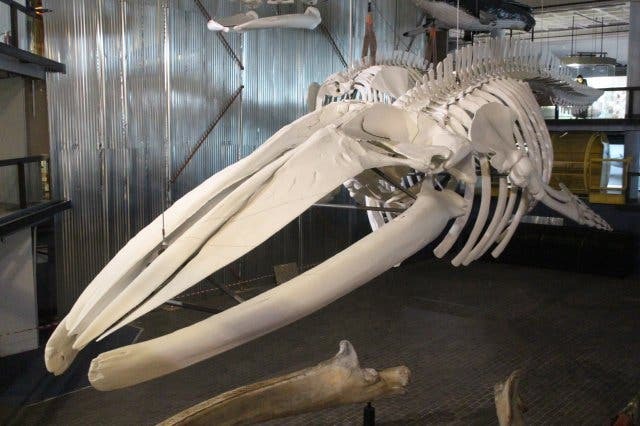 Highlights are the recorded whale calls and the dinosaur dioramas. Opening times: Monday - Sunday: 10am to 5pm, closed on Christmas Day and Workers Day. The Bo-Kaap Museum is situated in a historical area and showcases local Islamic culture and heritage. The colourful houses, steep cobbled streets, the muezzin’s calls to prayer and children traditionally dressed for Madrassa, all add to this unique Cape experience. Opening times: Monday - Saturday: 10am - 5pm, closed on Workers Day, Christmas Day, Eid-ul-Fitr, Eid-ul-Adha and the 2nd January. 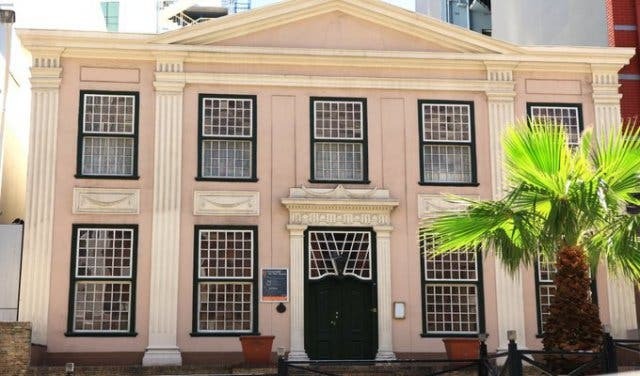 Iziko Slave Lodge reflects the long and rich history of Cape Town which is highlighted by the many names it has had in the last three centuries– Slave Lodge, Government Offices Building, Old Supreme Court and SA Cultural History Museum. The museum is undergoing some changes but popular exhibitions, such as the Memory Centre, can still be visited. Opening times: Monday - Saturday: 10am - 5pm, closed on Christmas Day and Workers Day. 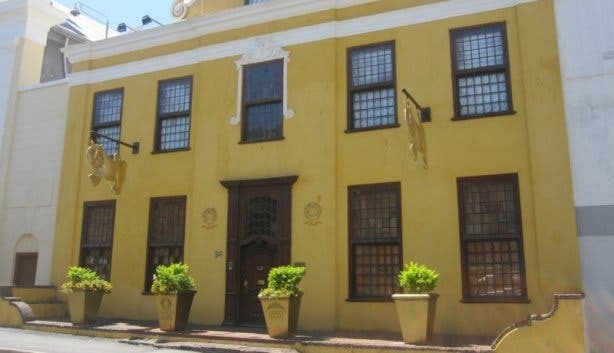 Koopmans-De Wet House is an 18th century family home and it houses some of the best pieces of Cape furniture and silver, as well as a priceless collection of ceramics. 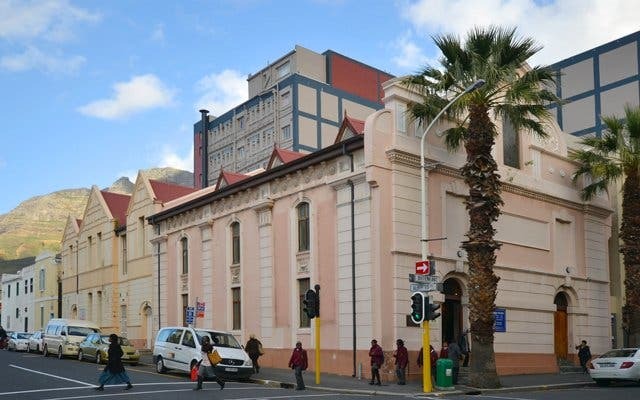 Opened in 1914, the museum is named after Marie Koopmans-De Wet, who is known for the work she did to help orphans and widows of Boer republics during the South African War. Opening times: Monday to Friday: 10am - 5pm, closed on Christmas Day and Workers Day. 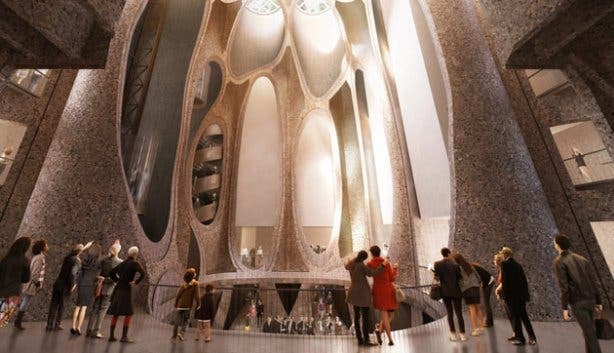 Interactive and high tech, the museum offers visitors a truly unique experience with its bold architectural design and engaging accounts of South African Jewish history. The displays are divided between two buildings; one is general Jewish history while the other covers the Holocaust. The museum shop stocks African embroidered challah covers, ceramic Judaica, designer jewellery, beaded and ceramic mezuzahs, Jewish cookbooks, books on Jewish socio-political themes and a wide selection of children's books. The restaurant is also worth a visit and there’s a jungle gym for children to play on. Opening times: Sunday - Thursday: 10am - 5pm, Friday: 10am to 5pm, closed on Jewish holidays. The District Six Museum was established in December 1994 and is committed to telling the stories of forced removals and assisting in the reconstitution of the community of District Six and Cape Town. The collection offers a glimpse into the lives of the residents and gives you a sense of the history of the place. Guided tours of the area are offered and they are conducted by an ex-resident. Opening times: Monday: 9am - 2pm, Tuesday - Saturday: 9am - 4pm, Sunday: by appointment only. 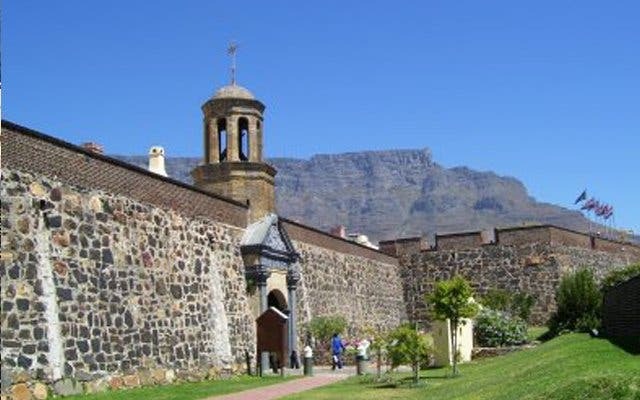 Built between 1666 and 1679 by the Dutch East India Company (VOC) as a maritime replenishment station, the Castle of Good Hope is the oldest surviving colonial building in South Africa. Visit attractions like the Military Museum, the William Fehr Collection and the Castle Forge or go on one of the guided horse and carriage tours that are held daily. Opening times: Monday - Sunday: 9am to 4pm, closed on Christmas Day and New Years Day. 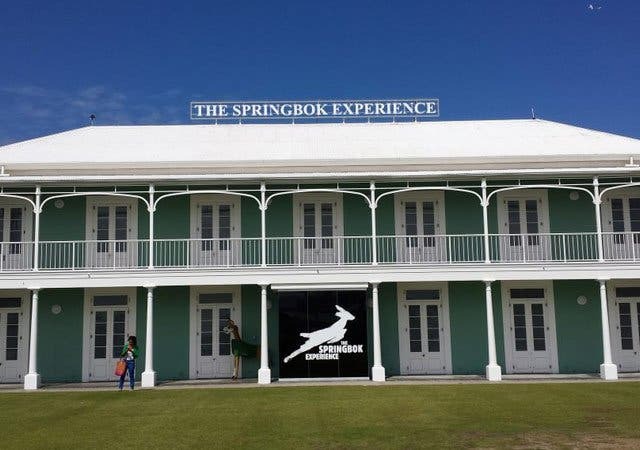 A late 2013 addition to Cape Town’s much-visited V&A Waterfront, The Springbok Experience rugby museum is a world-class visitor attraction that offers deep insight into South Africa’s most adored sport. Through a series of advanced audio-visual displays that use colour, music and movement to bring the game to life, the double-storey rugga shrine recounts the story of the development of both white and black rugby since the 1860s, and in so doing, tells the tale of our country’s own political journey. 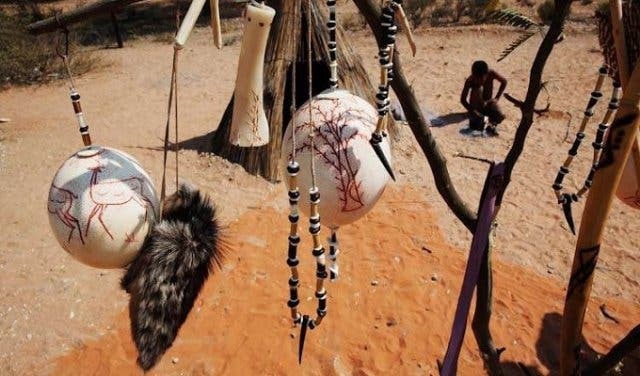 In addition to maps, touch-screens, animated paintings and sculptures, the space also houses a number of significant artefacts – think Francois Pienaar’s famous No. 6 jersey, signed fan paraphernalia, Joel Stransky’s iconic ’95 ‘drop goal’ boots and much more. Not to mention, there’s a flagship rugby store on site and a Springbok Trials zone, where guests can attempt various Wii-like kicking, passing, reaction and fitness tests to determine whether they’d make the national squad. 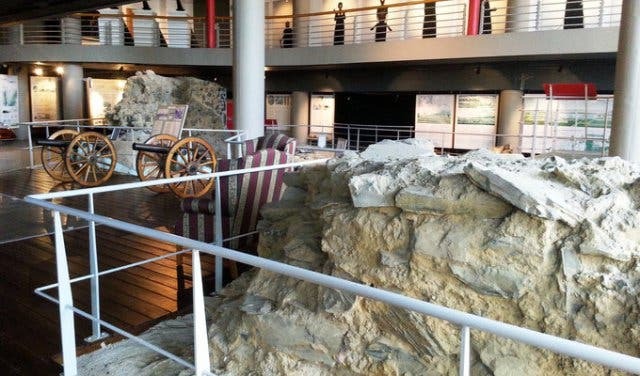 In short, the museum is a great option for locals looking to learn more about an Mzansi cultural cornerstone and for tourists keen to get to grips with what makes our country tick. Entry is very affordable: between R50p/p and R65p/p for adults, between R30p/p and R40p/p for scholars and pensioners and free for pre-schoolers. 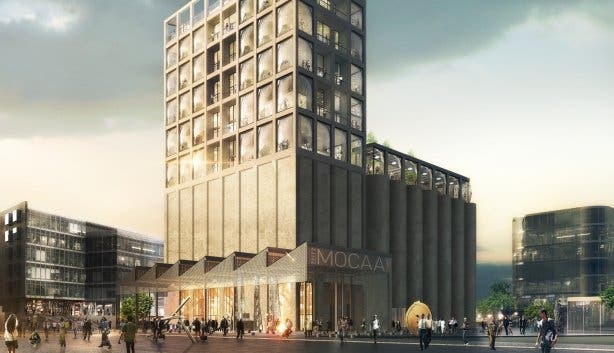 This state-of-the-art addition to Cape Town’s already prestigious V&A Waterfront is the largest museum of modern art on the continent. Under the leadership of renowned British architect Thomas Heatherwick, the area’s old grain silos are to be revamped and re-imagined as nine floors spanning 9,500sq m and featuring 80 separate gallery spaces, a rooftop sculpture garden, conservation vault, bookshop, a floor dedicated to art education, a restaurant, bar and café. 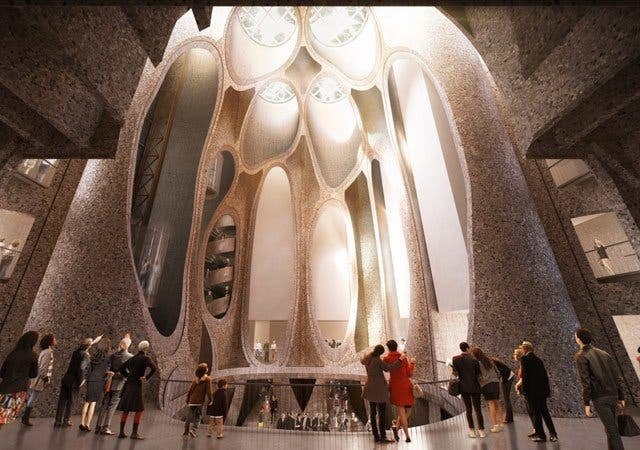 And as Africa’s version of London’s Tate Gallery or New York’s Museum of Modern Art (MOMA), it goes without saying that the Zeitz features top installations by leading artists in the contemporary sphere. This museum pays tribute to the sparkliest of rocks around. Learn about the three billion years it can take for the formation of a diamond to take place; from its journey in the ground to becoming a gem you’d want to wear. 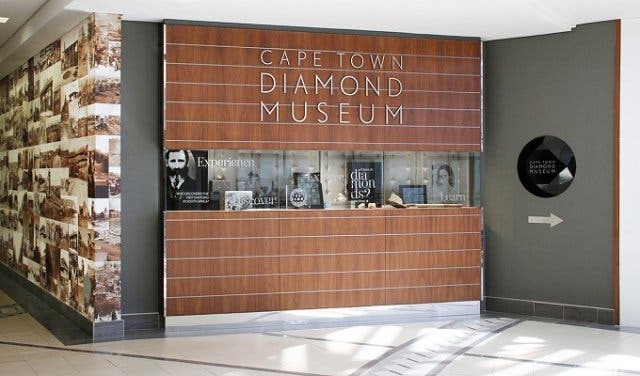 With beautiful illustrations and replicas of famous diamonds, the Cape Town Diamond Museum offers a fascinating look at the covetable gems and their history. Entrance to the Shimansky jewellery showroom will cost R50/p. Opening times: Monday – Sunday: 9am – 9pm. Visit the Maritime Centre for an overview of shipping in Cape town as well as a collection of ship models and objects associated with shipping. 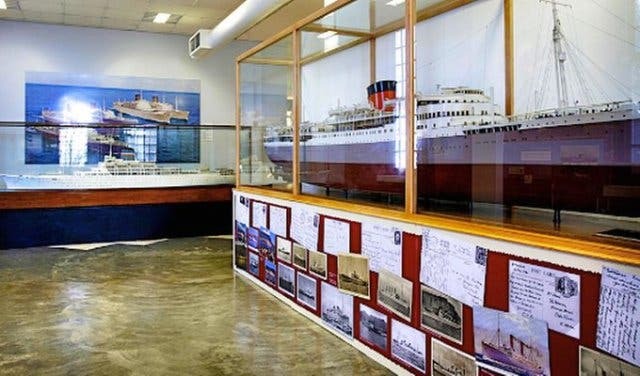 The museum is made up of various collections, including archived photographs which depict 9200 ships, dating from the late 1930s to the early 1960s. Opening times: Monday to Sunday: 10am - 5pm, closed on Christmas Day and Workers Day. This museum is partly outside with three great cannons in place on reconstructed garrison carriages. 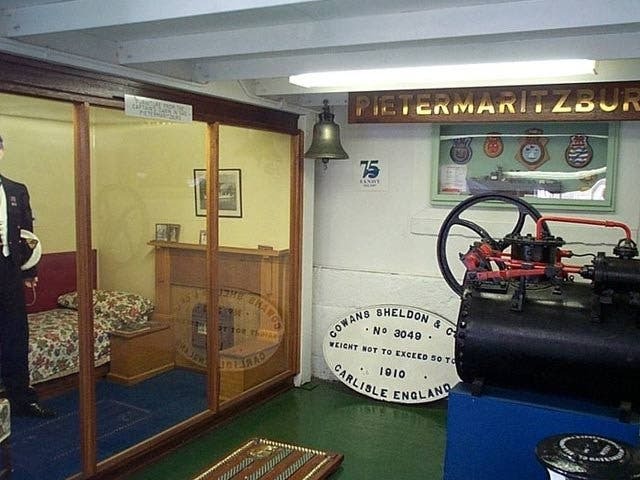 The inside section allows visitors a view of the ancient stones, graphic information boards, detailed models, a mixture of genuine artefacts, careful replicas and, one of the most popular sections, the gunnery display. Opening times: Monday - Sunday: 9am - 4pm. This collection includes ship and submarine models, a life-size ship’s bridge and a submarine’s operations and control room, naval guns, sea mines, naval uniforms and torpedoes. It’s not just about ships, submarines and weapons, however, as the museum provides information on the people that have been involved in the Navy over the years too. Opening times: Monday - Sunday: 9:30am - 3:30pm, closed on Good Friday, Christmas Day and New Year’s Day. 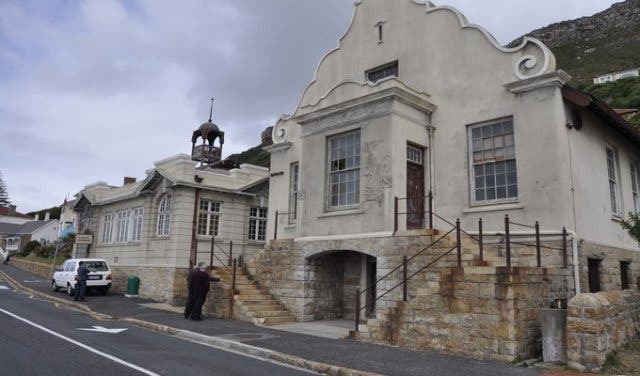 This museum is situated in the old Muizenberg Police Station and the adjoining old magistrate’s court. Antique furniture, uniforms and various police items are part of the exhibition. There are depictions of notorious criminal cases and a courtroom with cells below. Het Posthuys was originally used as a lookout post for enemy ships entering False Bay, and is also part of the museum complex. Opening times: Monday - Friday: 8am – 3:30pm, Saturday: 9am - 1pm, Sunday: 2pm - 5pm. 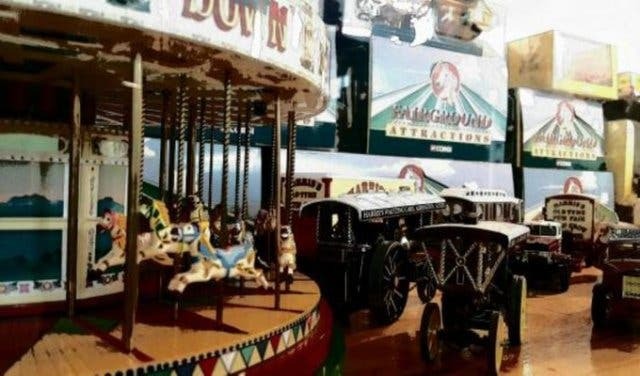 This toy museum has a permanent display of 4000 model cars, 500 dolls and teddy bears, miniature dolls houses and rooms, two fully operating railroads, lead soldier displays, Meccano, ships and many other miscellaneous toys and models. 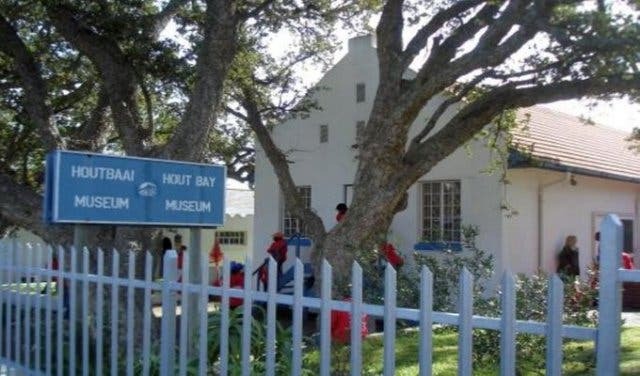 Tucked away in a fynbos garden setting and behind the Shell Garage on Main Road, the Hout Bay Museum provides a wealth of memories and information about the town’s past and explains how it grew into a thriving fishing village. Opening times: Monday - Thursday: 8am – 4:30pm, Friday: 8am - 4pm. The museum is housed in ‘The Residency’, which was built in 1777 as the winter residence for the Dutch East India Company Governor at the Cape. 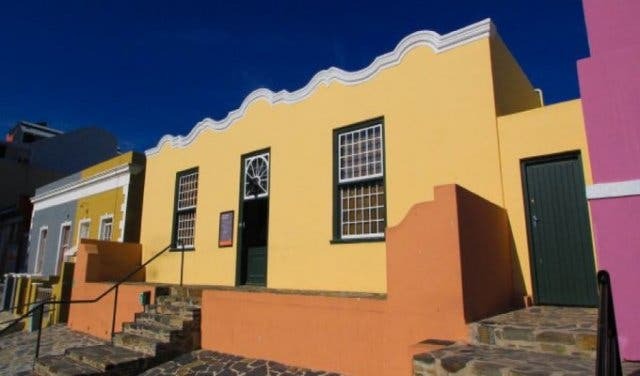 Collections and exhibits feature the cultural history of the people of Simon’s Town and their connections with the Dutch East India Company and the Royal Navy. Opening times: Monday - Friday: 10am - 4pm, Saturday: 10am - 1pm, closed on Sundays and Public Holidays. Visit the SAAF Museum to view their collection of articles, records and artefacts about their heritage and traditions. 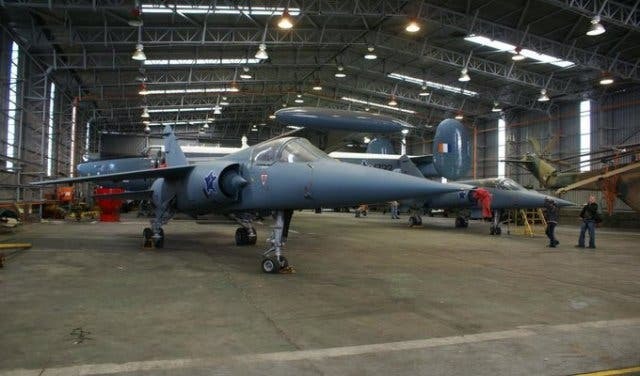 Learn about military aviation and its history in South Africa. Opening times: Monday to Friday: 6:30am – 3pm, Saturday: 8:30am – 12:30pm, closed on Sunday and public holidays. 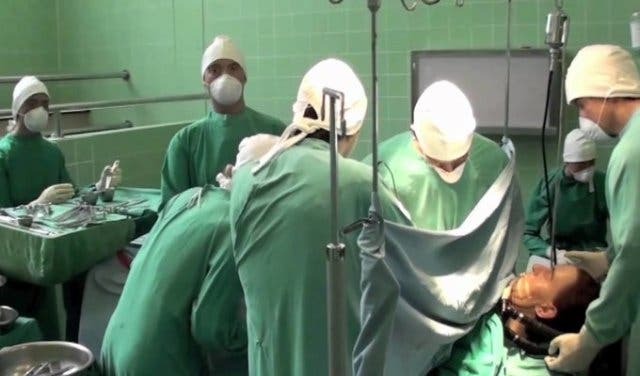 This museum honours all those who played a major role in the world’s first heart transplant, which was lead by Professor Christiaan Neethling Barnard at the Groote Schuur Hospital, in 1967. The museum has eight rooms, which pay tribute to the process and those involved. Opening times: Monday - Sunday: 9am - 7pm, tours take place every two hours and need to be booked. Providing insight into the life of 18th to early 20th century successful Cape farmer, the displays include exhibitions of furniture, paintings, textiles, carriages, wine storage and drinking vessels. The Orientation Centre uses panel, object and archaeological displays to give an overview of past to present, including slavery on the estate. 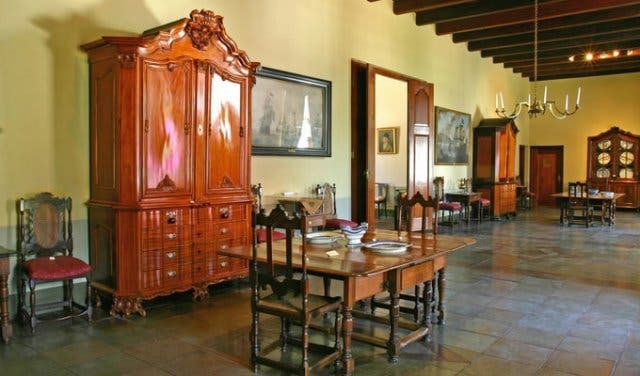 The building dates back to 1685, making it one of the oldest wine farms in the country. Opening times: Monday - Sunday: 10am - 5pm, closed on Christmas Day and Worker’s Day. 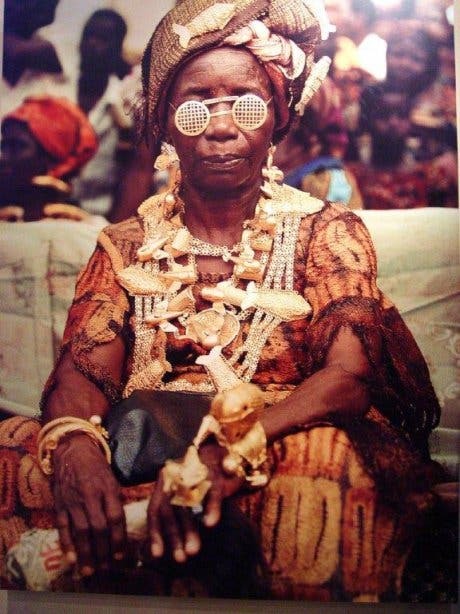 This museum was established in the house she lived in for almost 40 years with several of the rooms left as she had arranged them. The permanent collection displays her growth as an artist, whilst the lively temporary exhibition is held annually in the garden. 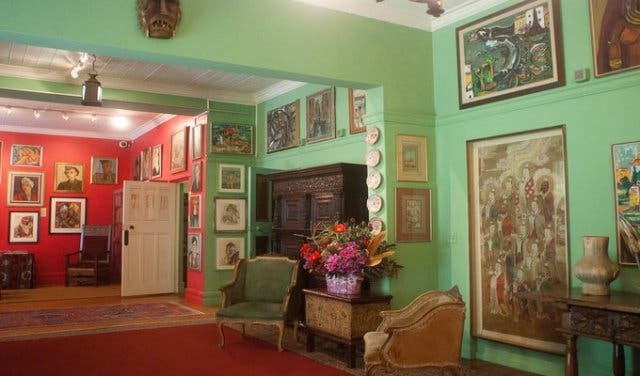 The house is also used as an exhibition space for other local artists. Opening times: Tuesday - Friday: 10am - 5pm, Saturday: 10am - 2pm. Visitors are invited to look back at over 100 years of motoring history, with its unique collection of vehicles, motorcycles, bicycles and memorabilia. The collection exceeds 220 vehicles, ranging from an 1898 Beeston motor tricycle to a 2003 Ferrari Enzo supercar. Opening times: Monday - Friday: 10am - 5pm, Saturday - Sunday: 10am - 4pm. Bookings are advised. 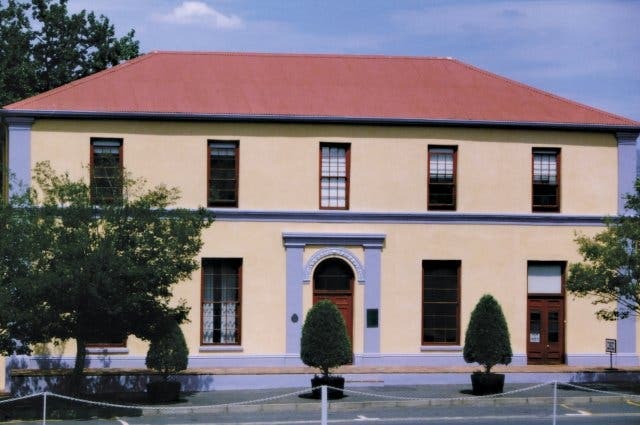 Once home to the Association for True Afrikaners (ATA), the Afrikaans Language Museum is set in a two-storey, Georgian style house. Visitors can trace the shaping, the story and the personalities of the language, as well as see an authentic printing machine. Test your knowledge, purchase a souvenir or enjoy the games, sound tracks and interactive displays. Opening times: Monday - Friday: 9am - 4pm, closed on weekends, public holidays, Christmas Day and New Year’s Day. 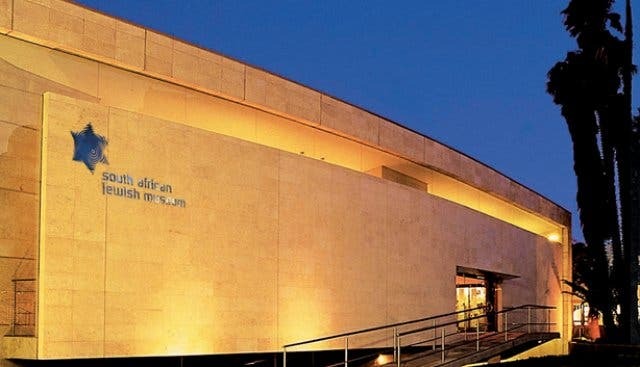 Rediscover Cape Town culture and art at the free Museum Night. If your kids are a bit too energetic for museums then let them burn off some of their excess energy with these adventure activities. Stay in the loop with our monthly and free newsletter and find us on Facebook and Twitter.